Dogs of America, our day has come. Not just our day, in fact, but our summer! 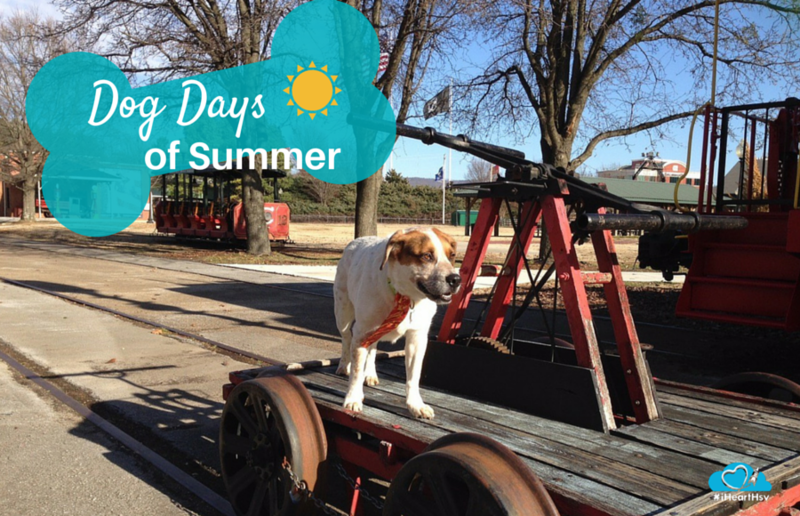 The Dog Days of Summer are here at the EarlyWorks Children’s Museum. 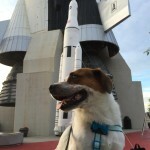 For my canine brothers and sisters who may not be familiar with EarlyWorks, it is a place where “children” (that’s what humans call their puppies) can learn about history. I looked it up on the computer while my human packmates weren’t home, and it’s the largest hands-on history museum in the South. What does that have to do with dogs? Well, EarlyWorks is always looking for new ways to teach children, and since “teaching” is basically what we dogs call “training,” who is better at training than dogs? I, for example, have trained my human packmates to give me tasty treats for doing things like sitting and speaking. A smart dog can train a human to do just about anything he wants. The wise folks at EarlyWorks have realized this, and this summer they’re using dogs to train children about history. EarlyWorks has always understood the value of dogs – children have been able to play in Biscuit’s Backyard and Hideout, named after the famous dog Biscuit whose books have helped train children to read. 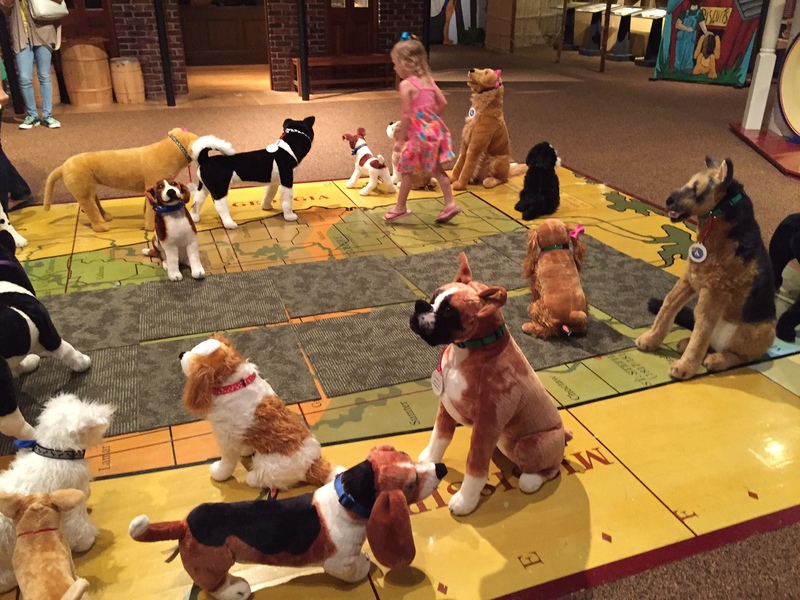 But through July, the place has literally gone to the dogs – all throughout the museum, there are more than 60 life-sized stuffed dogs and dog-related activities. 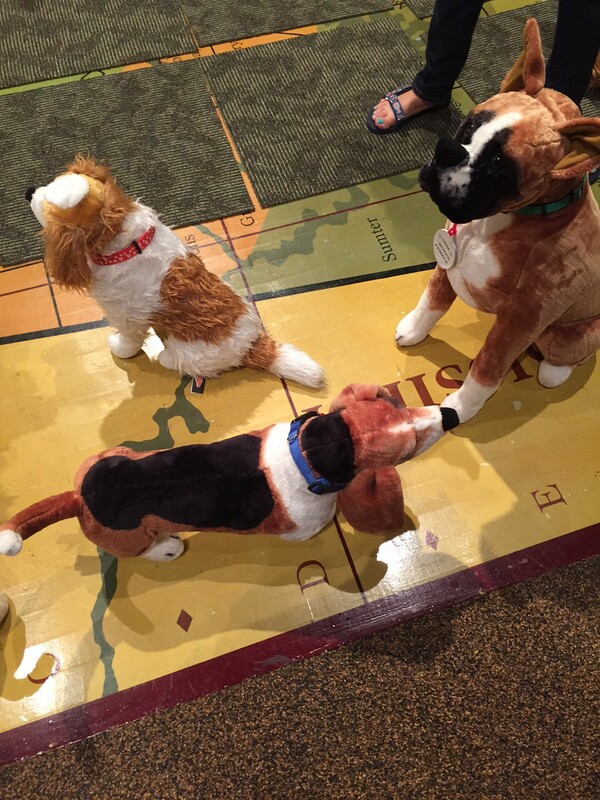 The stuffed dogs, in addition to inspiring children to learn, are part of a scavenger hunt activity. The museum has a display that illustrates history from the context of dogs, which is really how it should be told. Another activity trains children to learn more about dog breeds and the places they’re from. Visitors from local non-profits tell museum visitors more about how to adopt or care for dogs. 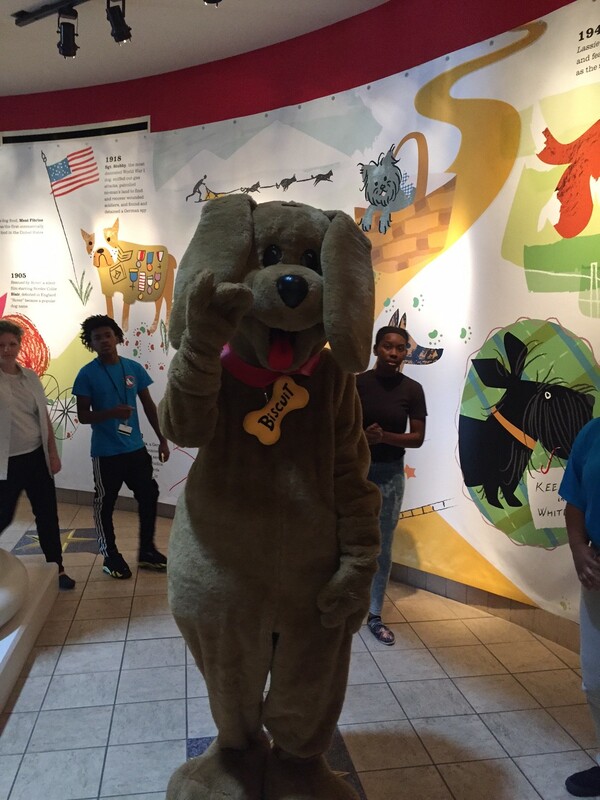 Each week, a famous dog like Scooby Doo, McGruff the Crime Dog or the Paw Patrol will come and meet children, and there will be special activities related to the celebrity dog. 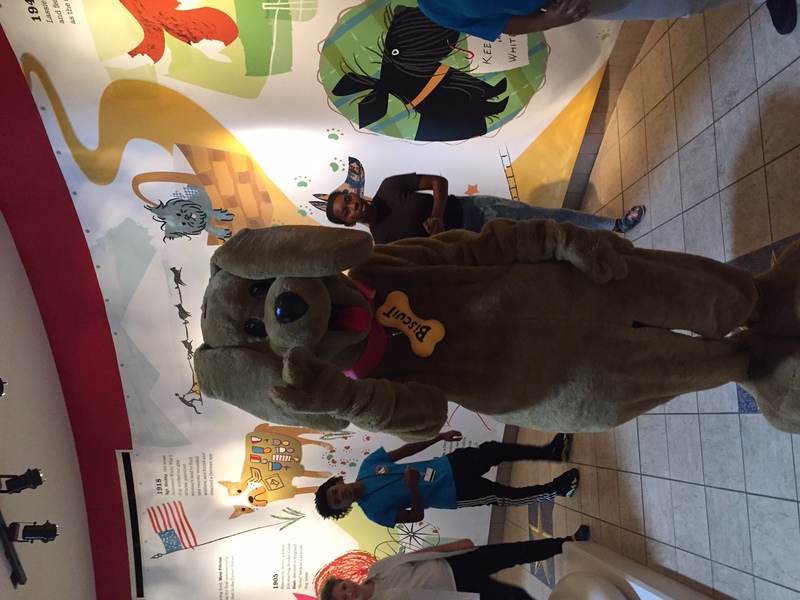 Children coming for field trips can learn about veterinarians and play a “scoop the poop” game to learn about taking care of a dog. Children can also have dog-themed birthday parties at EarlyWorks. The only downside is that the exhibit is for humans only. That doesn’t mean that dogs are left out completely, though. You can take a selfie with your human, submit it through the EarlyWorks Facebook page, and they’ll display it at the museum. And then, on August 27th, EarlyWorks will hold a Dog Jog 5K and Family Fun Run. 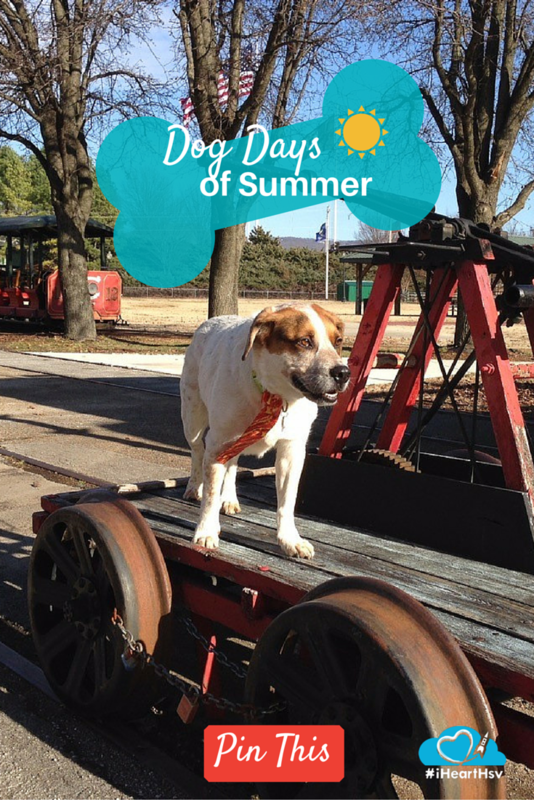 The run, which begins and ends at the Depot museum, will offer prizes for the fastest and slowest dogs (and humans) as well as best costumes. Teaching children about history using dogs? Now THAT’S a real treat! Those who get to know Amos Robert Freeman-Hitt often describe him as a good boy, a sweet boy, a smart boy, and a ruggedly handsome boy. 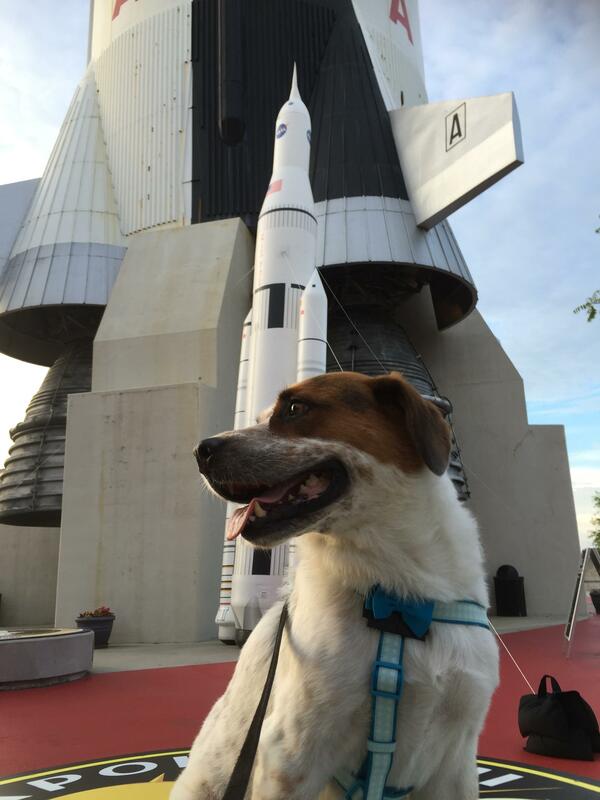 Amos has been enjoying the finer aspects of life in Huntsville for the last three years, along with his packmates David and Rebecca. He is an aficionado of cuddling, playing ball, staring out windows, long walks and purloined candy. Not completely convinced that he’s not a people of some type, Amos means well.